Internal Revenue Service (IRS) Form 2848 is titled "Power of Attorney and Declaration of Representative." It is used to designate a tax professional to represent a client before IRS agents. 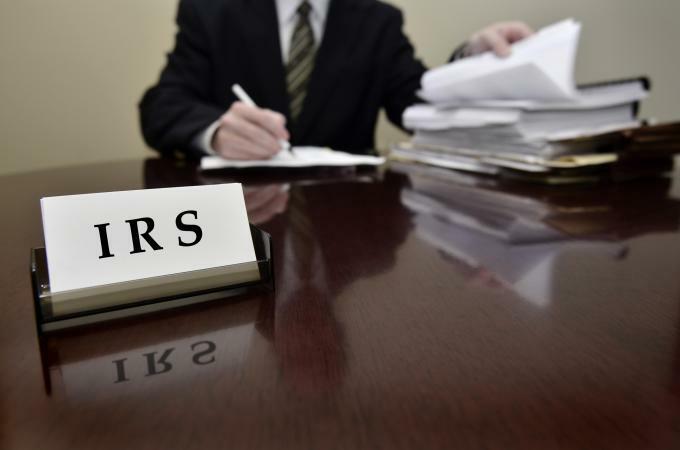 Filing this document allows you to name a qualified representative to represent you with regards to IRS matters and to specify the limits of the representative's authority. A power of attorney (POA) is a document in which you give a third party the legal right to act on your behalf. The situations in which the person may act and powers they have are typically specified in the form. In a declaration of a representative, you allow a third-party to appear on your behalf, but not to make any decisions or perform any actions. Which Federal Income Tax Forms Should You Use? Credentialed tax professionals (which includes attorneys, CPAs and enrolled agents) can represent a client before any department of the IRS, but unenrolled tax preparers can only represent clients before auditors and customer service representatives and only when discussing tax returns they filled out and signed themselves. This form also gives the designated tax professional access to the client's previous tax returns and other documents that the IRS has on file for him or her. The form consists of two pages and two parts. The first part consists of seven sections. In this section, you must identify yourself and provide your name, mailing address, Social Security or tax identification number and telephone number. In this section, will need to you identify the individual(s) that you allow to represent you with the IRS. You may designate up to four representatives on this form. You must provide their names, addresses, and telephone and fax numbers. If any of your representatives has a CAF number and/or a PTIN assigned by the IRS, include these numbers in the appropriate fields. The representative(s) can provide you with this information. If you would like the representative(s) to receive copies of all documents that the IRS sends to you, check the box at the bottom of the corresponding 'name and address' section. Once the period of time you list on the form has expired, you will need to submit another one if you wish to extend the authorization. You can't simply say 'all tax forms' or 'all years' in this section; that will invalidate the form. The IRS typically records powers of attorney in its Centralized Authorization File (CAF) system. However, there are certain specific uses of a power of attorney for which the IRS does not need to create an entry in the CAF. These include requests for a private letter ruling, applications for an employer identification number (EIN) and corporate dissolutions. If you are not sure whether to check this box, ask your representative. This section goes into detail on the acts you allow your representative(s) to perform and those they cannot. Section 5a, 'Additional acts authorized,' gives the representative the authority to performs acts such as disclosing information to third parties and appointing other representatives for you. Section 5b, 'Specific acts not authorized,' spells out acts that your representative will not be allowed to perform. If you need more space, you may type the additional rules on a separate sheet of paper and attach it to your form. Filing Form 2848 automatically revokes any previously filed form referring to the same issues and time periods included on the new form. For example, if you previously filed this form regarding your tax return from the year 2015, then filing a new one that also lists your tax return from 2015 will revoke the old one. If you are merely adding or changing something and do not want to revoke the previous form, you must indicate that by checking the box in this section. You must sign and date the form. If your Form 2848 relates to a jointly filed tax form, such as a Form 1040 that you filed jointly with your spouse, then your spouse must fill out and sign his or her own form. The representative(s) must sign and date the second part of the form. They must also designate their professional status or relationship to you. Professionals must provide their license numbers and list the states in which they are authorized to practice, if applicable. If you sign the form before your representative(s) sign, then the representative(s) must sign within 45 days of when you do (or 60 days if you're living abroad). Once you have completely filled in the form and it has been signed by you and your representative(s), you'll need to mail or fax it to the correct location. Unless you checked the box in Section 4, you'll need to use the address or fax number from the list on the second page of the form instructions. If you checked the box in Section 4, you must use the address or fax number related to the non-CAF matter about which you're inquiring. 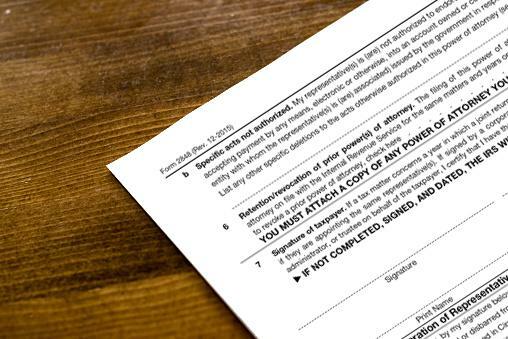 For example, applications for an EIN would go to the address or fax number from the Form SS-4, Application for Employer Identification Number. Your representative(s) should be able to help you with any other questions about how to fill out the form or where to send it.